The draw preserved both sides' unbeaten Premier League records, but they failed to lay down an early marker in the title race as Chelsea moved into a three-way tie at the top. 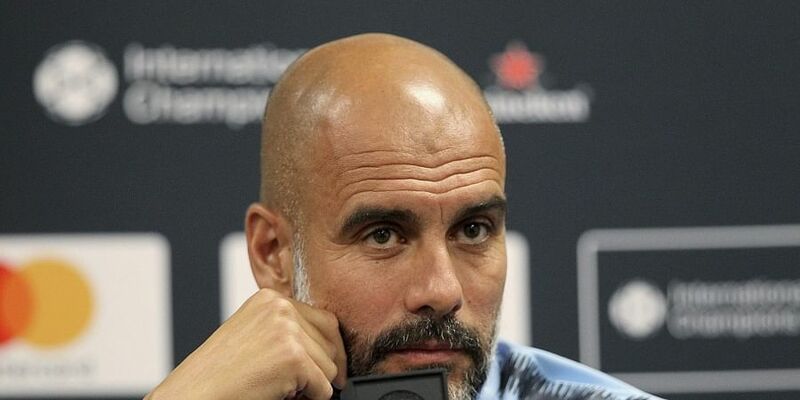 LIVERPOOL: Pep Guardiola took responsibility for placing his trust in Riyad Mahrez as the Algerian's missed penalty five minutes from time cost Manchester City victory in a disappointing 0-0 draw at Liverpool on Sunday. The draw preserved both sides' unbeaten Premier League records, but they failed to lay down an early marker in the title race as Chelsea moved into a three-way tie at the top on 20 points after eight games. "I see him every day in the training sessions, I see him every day practice penalties and it gave me a lot of confidence," said Guardiola after he instructed Gabriel Jesus, who earlier replaced regular penalty taker Sergio Aguero, to hand the ball to Mahrez. However, Mahrez's miserable record from the spot continued as City's club record £60-million ($79 million) signing missed for the fourth time in his last six penalties by blasting well over the bar. "If it is an open game at Anfield you don't even have a one-percent chance," said Guardiola. "Up and down they are the best team in the world. Running in these transitions there is no one better. They are built for that, Jurgen (Klopp) is built for that. In that situation they are much better than us." "We were close more than ever to win here. (A draw) is better than last season when we lose," added Guardiola as City's wait for a first win at Anfield since 2003 continued. "I'm so comfortable (with) the performance we have done. I know against which team we are playing." "It was an unbelievably intense period of fixtures, crazy. It makes no sense to moan about it when you are in it. But now it is over so I can," said Klopp. "If somebody had told me after eight fixtures, 20 points, I would say 'yes'. But with this fixture list, I would definitely buy it." City's first penalty claim was waved away when Dejan Lovren appeared to trip Aguero inside the area, but the visitors quickly neutralised Liverpool's threat by keeping possession for long periods.